Proper preparation for a hunting trip is essential. The following is a list of items we feel will cover your needs comfortably while hunting with us this fall. Hunting license and tags. Get your licenses on-line [http://fwp.mt.gov/hunting/licenses/]. 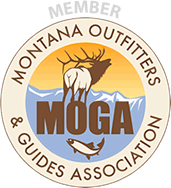 Remember your Montana Bow and Arrow license. 5 T-shirts, personal items, toiletries, books etc. Complete Camo outfit, hat and face mask. Camo should be light colored, Realtree Max-1, AP, Mothwing or Sitka Gear with Optifade are all good. I use and recommend Sitka Gear – they have excellent layering systems: lightweight, warm, and packable. The Optifade camo pattern is ideal in our area. Camo daypack, with flashlight, lighter, pocketknife, sunglasses etc. Binoculars and rangefinder. 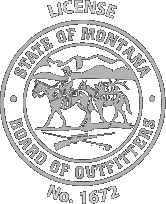 Leupold Vendetta are not allowed in Montana. Bow kit, extra broadheads, string wax, allen wrenches etc. I have targets at camp for you to shoot at. Typically the weather this time of year is pretty good. Warm during the day and cool at night. Rain and snow are possible but unlikely. Clothing you can layer is the best, you can leave heavier stuff in the truck, boat or your daypack. If you have any questions feel free to contact me.